If you love entertaining, there have probably been times when you wished you had a dedicated space in your home or a man cave to mix up some adult beverages. Many people wish they had a bar in their home to make entertaining easier. Quite simply, a wet bar is an entertainer’s dream. But what is a wet bar anyway? A wet bar is defined as a bar or counter equipped with running water and a sink, for serving alcoholic drinks at home. Wet bars need to be constructed close to a plumbing line to connect a sink. Wet bars can be a convenient option for those who entertain their guests on another floor than their kitchen. If you like to host guests outdoors, in the basement, in a “man cave” or other location, a wet bar is a great option. If you don’t want to deal with all the hassles of plumbing, consider getting a dry bar instead. 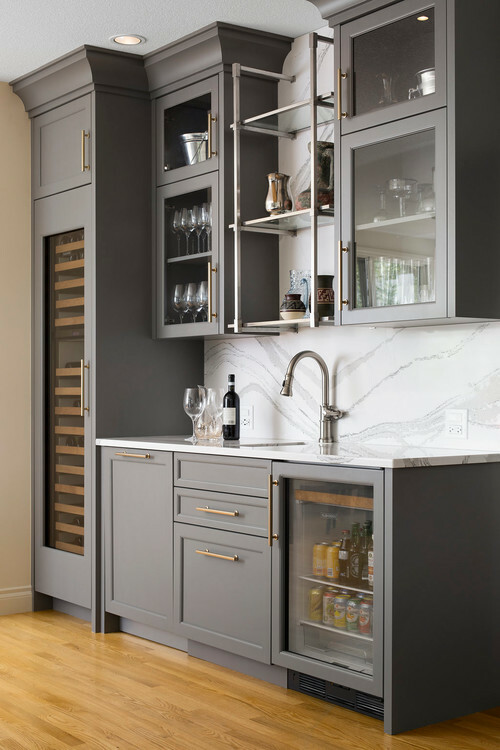 Whether you custom-design a bar, buy a ready-made wet bar, or opt for a dry bar, it can be a defining and fun feature of the home. Looking for a house with a wet bar?